Editor Cim Meyer from Danish jazz magazine Jazz Special hooked up with Swiss trombone maestro Samuel Blaser during Blaser's first visit to Copenhagen. They shared and a good bottle of red wine after the show and talked jazz, new trio with Ducret and Bruun and how the future will be......or..When have you seen Marc Ducret playing a pink guitar...??? 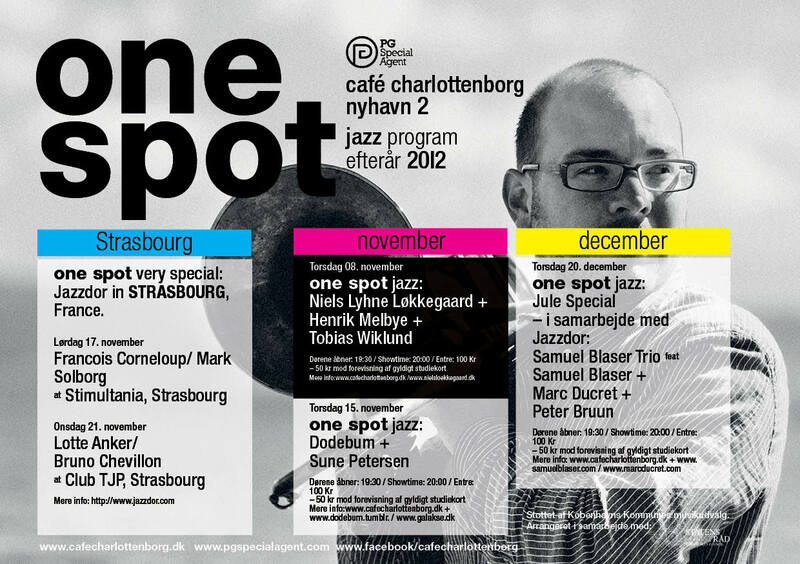 Jazz Special is the most central jazz print in Denmark. 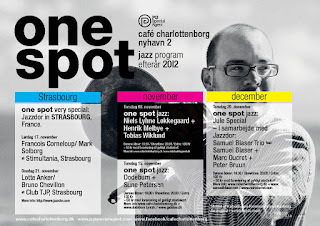 In fact, in relation to the population base, Jazz Special is far the most common printed jazz magazine in the world. 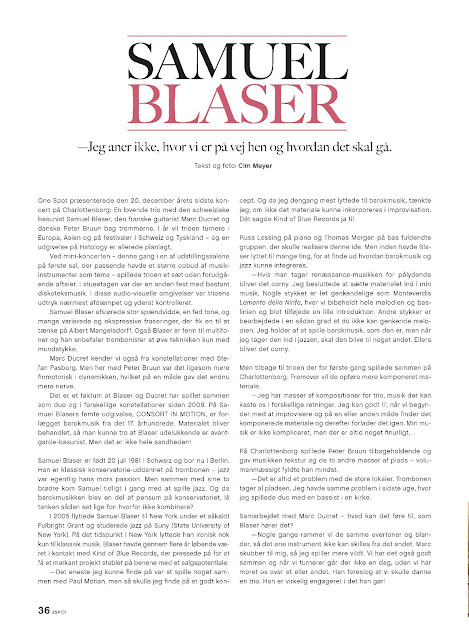 Samuel Blaser is one of the most progessing new talents from the Swiss jazz scene. This was his first visit to Copenhagen. It all happened on the 20th December at Kunsthal Charlottenborg during "One Spot Sessions" arranged by PG and Café Charlottenborg in the heart of Copenhagen. 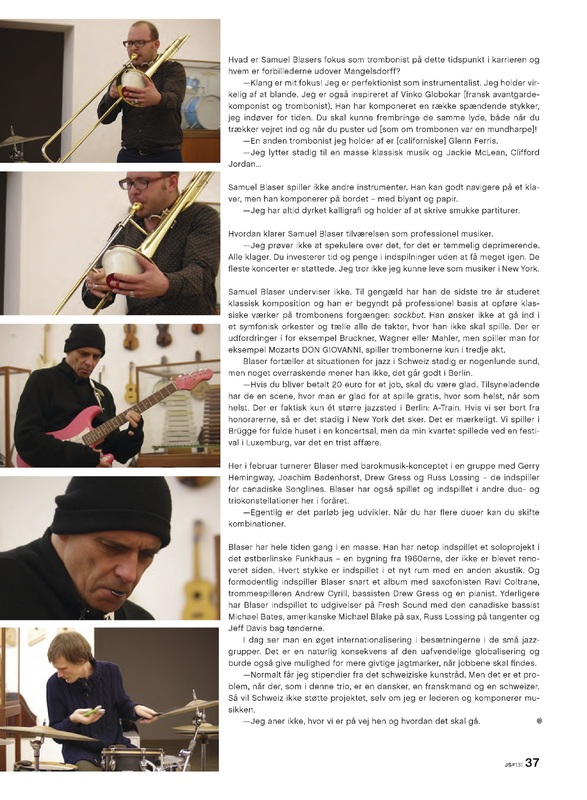 Swiss trombone maestro Samuel Blaser played a show with his new trio feat. French guitarist Marc Ducret and Danish stardrummer Peter Bruun ( Part of Django Bates band). This was their very first show together as a trio.